Buy Almond "Marcona" fried with salt extra virgin olive oil. Be sure to try our almonds, with and without skin, fried and toasted almonds, almonds seasoned or almonds salt. We have a variety in which one almond and exquisite. Buy quality gourmet products extreme. All in almonds and very select products. Buy Marcona Almond with skin, little salt, golden with Virgin Olive Oil. Special snacks and accompanying dishes. With the right touch of salt and flavor of extra virgin olive oil. An exquisite result. 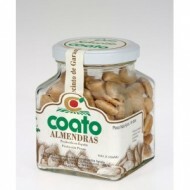 Buy Almond "Comuna", with skin, fried with salt extra virgin olive oil. Be sure to try our almonds, with and without skin, fried and toasted almonds, almonds or almonds seasoned salt. We have a variety in which one almond and exquisite. Buy quality gourmet products extreme. All in almonds and very select products. Buy Comuna Almond with skin, little salt, golden with Virgin Olive Oil. Special snacks and accompanying dishes. With the right touch of salt and flavor of extra virgin olive oil. An exquisite result. 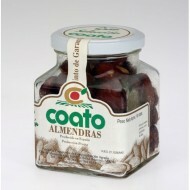 Buy Sliced Almonds Coato 35oz. bag. Sheet almond special for direct application in cooking and baking. We have several formats to suit your needs. In Gourmet Food Spansih you can find variety in almonds. Grain Almond Coato 35oz. bag. Buy Grain Almond Coato 35oz. bag. 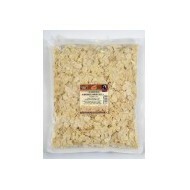 Special grain almond for direct application in cooking and baking. We have several formats according to their needs. In Gourmet Food Spansih can find variety in almonds. 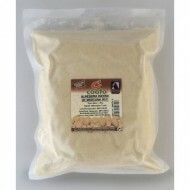 Buy Almond Flour 35oz.bag Coato. 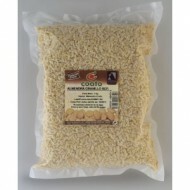 Almond special grain for direct application in cooking and baking. We have several formats to suit your needs. In Gourmet Food Spansih can find variety in almonds.